In this rather unconventional book, death, dogs, homeless people and hope all combine to create a quite profoundly beautiful — and often very funny — story. Twelve-year-old Daisy has died in a car crash. But the after-life process hasn't gone smoothly and she's now back on earth in the body of a dog. Her new home isn't a great one. The little boy, her owner, doesn't seem to care about her very much, and she's left alone in the back yard a lot. But while Daisy looks (and sounds) like an excitable dog called Misty, inside she's still 100% Daisy. And when she reads in a newspaper about a girl tragically killed in an accident and her father left paralysed, she knows it's about her — and she knows she has to get back to her parents. Of course, they won't know she's their daughter, but perhaps she can be her father's companion dog and at least the family will still be together, in some way. So, Daisy escapes, meeting up with a kind homeless man called Jack, and a young boy called Pip, who has run away from his foster home to try to find his biological father. Pip names Daisy/Misty 'Ray', and together they set out on their respective quests. Daisy is a wonderful narrator. She's observant, smart, honest and funny. Her descriptions of life as a dog are incredibly endearing, and will resonate with any dog lover. But there is a real depth to this story too. 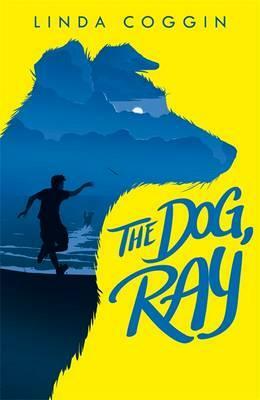 It's never going to be possible for Daisy to rebuild her family, but as we follow her adventures with Pip, and also see how her mother and father shape their lives without her, we learn that hope and happiness can still be found after great tragedy, even if it's not always in ways we would have expected.